My name is Tracey Blake. 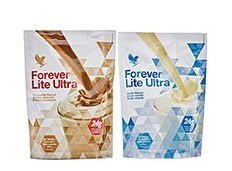 I have found working with Forever is a really exciting opportunity as it offers more time and freedom and extra income. Please feel free to take a look through the website and magazines and get in touch if you need to know more. some much needed tyres! I made my money back in the first month, plus an extra £150, and from that moment I never looked back. Before Forever I was working as a domestic abuse advocate. I loved the job but the pay was not that good and I struggled to work it around six children and a husband who was often away on business. I loved that I could fit my new Forever business into the nooks and crannies of my life. I’d listen to training in the car on my drive to work, and I’d start Forever-work every night once the children were settled in bed. 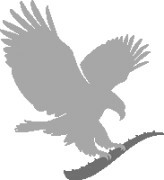 It grew slowly, but as my business and income grew so did my confidence. I began to put myself forward to speak on webinars, and I studied hard to be the best mentor I could possibly be to my ever-growing team. I realised that the more I invested in others by helping them to achieve their goals, the more we all gained. Ten months after starting my journey I waved goodbye to my job and started to work my Forever business full time. devising such a phenomenal opportunity. "I loved that I could fit my new Forever business into the nooks and crannies of my life." reached before – even pre-injury! I went into the competition with less than six months’ training and I managed to come out with a bronze medal. When I arrived back in the UK I decided to give the National Standard Distance Duathlon Championship a go. I didn’t have long to train but I had Argi+, Forever Freedom and Forever Lite Ultra on my side and I managed to leave with a silver medal! This business has also benefited me as a sport and triathlon coach; it’s been helpful having a base of products that uphold the same values – ethical, natural, healthy – and Forever is now an intrinsic part of my life. My athletes, clients and community have seen first-hand the transformation in my own health and fitness, and many of them have had similar (and often better) results. Being able to discuss my experience of the C9 and F.I.T. programme has been essential in forming relationships and supporting clients on their own journeys, but this is all just the beginning! In July next year I plan to work with Global F.I.T. Ambassador Mike Butterworth and undertake seven ironman triathlons in seven days, and I'll be utilising a whole range of Forever products to ensure success. "Forever is now an intrinsic part of my life." I’m a single mother to a beautiful three year old boy called Alexander; he has been my source of true happiness and comfort since losing my younger brother to suicide in 2009. When my brother died, I lost so much of who I was; I had no idea of how to be, and my sense of purpose derailed. Although dealing with his death continues to be hard, I know I live a fortunate life: I have worked hard to build a solid career and run my own marketing consultancy – which provides a healthy income. I own my own home, I have family and wonderful friends, but even with this in place, my son was the only one who made me truly happy. However, I knew it was unfair to place the entire reason for my happiness on his tiny shoulders; it’s far too much responsibility for someone so small. I came to join Forever when Lucy Snell approached me via LinkedIn. Although we had never met, we both worked at the same place during different times. She sent me a link to watch, and even though I didn’t understand anything about the business, I jumped straight in – I am always up for a piece of the action! Since joining, there have been huge changes in me as a person, and I have finally found something that has given me direction – I now have a focus like I’ve never had before. As I worked towards Supervisor, much of my time was spent getting to grips with the business and Marketing Plan. This enabled me to recruit confidently, but I also made sure I used and understood the products. I definitely have an emotional connection to the products and I’m able to recommend them to others with ease. From a personal development point of view, Forever has encouraged me to do things I may not have done before: I have come out of my comfort zone, set goals, made big plans, learnt new skills and focused heavily on my mindset. All this has caused my inner confidence to grow to a level I didn’t even know existed. I’m sure the money will come, but the way I feel now outweighs any monetary value – I have finally found something else that makes me happy. Forever is the start of something huge inmy life; I cannot wait to see where the journey takes me. In a business saturated by headstrong women, Daniel Watson, an undefeated professional boxer and tattoo artist from Bolton, certainly stands out from the crowd. Our Editor, Kate Hodge, caught up with him at his studio – which is no ordinary tattoo studio – to find out more about why Daniel, a reformed fighter, decided to join Forever. Why did you decide to look at Forever? I have been tattooing now for ten years and I love what I do, but my main passion has always been business. I had always been interested in network marketing and I researched several companies, but few offered me something I could believe in. 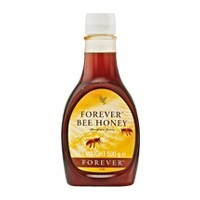 That’s when my physio (now mentor), Alison Thompson, introduced me to Forever. It was July 6th 2015, just two days after I had spoken to Alison, when I decided to sign up. With her help I had my first product launch party; I invited my mum and her friends, my sister and her friends and also some people that I thought may be interested in joining my business. It was a success, and from this I managed to get a few regular customers and my first few team members. Within twenty days I had been promoted to Supervisor, and I decided that I was going to by-pass Assistant Manager and go straight for Manager instead. How did you see the business fitting in with your lifestyle? 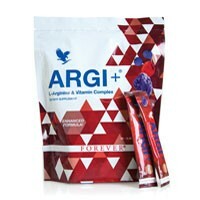 Argi+ and the shakes fit with my sporting side and the Aloe Vera Gelly can even be used on tattoos once they have passed the initial healing point. I also often do the C9 and post my progress on Facebook, and since my network knows I’m a professional boxer, the good results I achieve help build belief in the products. Why do you think you have been so successful? I was determined to achieve Manager in August, and by the 16th of the month I had successfully secured the position. Part of this fast progression was down to the support I was giving to my customers. I asked them to recommend the products to anyone they thought would benefit from them, and within no time I had around twenty customers and ten people on my team. People keep asking me what my secret is, but it just takes hard work and dedication; anyone can do it as everything you need is already there for you. The products appeal to a wide range of people so it’s easy to connect with a market, but I’m not afraid to get stuck in – I’ll happily run a makeup party if necessarily! I also focus a lot of my time on studying the business. I knew that developing my knowledge would form a massive part of effective prospecting, and I wanted to be able to quickly answer any question or doubt. I live and breathe business, and those that know me know I wouldn’t risk investing my time in something that doesn’t work. My background is in admin, a role I fell into from school because I thought it was the only thing I was good at, and I had lost all my confidence through a difficult marriage which led to an unpleasant divorce. All of a sudden I had become a single mum whose life revolved around looking after my three incredible children. My life transformed after I went to a friend’s party. I listened to the Forever business opportunity and realised that this could be a way to earn a few extra hundred pounds – I liked the idea of being able to afford a holiday abroad. Despite the incentive, I still held many fears regarding signing up: I have never been good at selling, and the thought of standing up in front of people at a launch made me feel sick. However, I was at a point in life where my children had grown up and flown the nest, and I longed to go abroad, but my salary just didn’t stretch to this. I finally decided to ignore my concerns and sign up, and with full support from my partner, children, family and friends, I have managed to sell products, hold launches and grow a retail business, even though 4CCs seemed unachievable in the first couple of months. These achievements are a product of sheer determination and a whole lot of practice! I would practice everywhere: in the car, the bath, the mirror...on my children, friends and family. I was sick of hearing my voice – but it worked. After about four months, people started to see my new-found confidence and I was surprised when they asked to join my team. This is where the excitement really begun and before I knew it I had eight team members, had achieved my level one and two 4CCs pin, had progressed to Assistant Manager, and mentored one of my team to Supervisor.Now I wake up excited every day, and although I squeeze the role in aroundmy full-time job, I can’t wait to get toa point where I can earn enough tore-evalute this situation. I reallywish someone had told me about Forever years ago!